All music from King Real By Pete Moser, words by Adrian Mitchell with the exception of Vision 2 by Kevin Wilkins and Fire Music by Pez? …Well almost, it was around this time of year at any rate, Spring 1983. I’d found a stack of photocopied articles from the North Western Evening Mail in the library at Barrow In Furness invited anybody who was interested in becoming involved in the making of a film for Channel Four. They needed performers, musicians, sculptors, makers in fact if you could do anything at all you would have something to offer. It was being organized by Welfare State International, who I’d heard of but didn’t really know much about apart from seeing something in the paper a year or two before about “Red Moles In Cleator Moor” and I wasn’t sure if that hadn’t got something to do with Russian spies, West Cumbria at the time being one of the centres for world espionage. It was well known that super villains had set up massive underground bases beneath Ennerdale (which is why they want to put nuclear waste there now as half the diggings already done). …and that was the day my life changed. King Real and The Hoodlums become my world for the next three months or so and Welfare State International showed me that my world could be very different, that qualities and skills I had were things to be valued and respected, not dismissed and counted worthless. So this current edition of the podcast is by way of celebration of thirty years and life more interesting because of King Real and The Hoodlums. King Real was a reworking of Shakespeare’s Lear, written by the eminent poet Adrian Mitchell set this time against a backdrop of nuclear war. This seems odd now looking back thirty years but remember the Cuban missile crisis was only twenty years earlier and the international accords and agreements had not yet been signed, so the threat of M.A.D. was still quite real. Filming began in and around the disused and semi derelict Salthouse Paper Mills which also served as a workshop for all the props, costumes and everything else to be made for the film including a throne perched high atop a pile of abandoned cars. I’d originally gone to just make stuff me being of an artistic bent but an invitation from Marcel Steiner (The Smallest Theatre In The World – as seen on Tiswas and OTT) to participate in the acting workshops eventually led to me getting the role of The Archbishop Of Stare. The attendant company were Marcel who played the King, Julie Clark (now Westwood and went on to have a hand in many puppets for children’s TV) as Cloudella, Julie Lloyd as Raygal and David Marcus (no, not Captain Kirks son but the quintessential pantomime Dame, now a Tory Councillor on Cumbria County Council and there’s a whole bucketful of irony there) as Gonilla. Captain Adderman was played by Tom Lawrence (spot the deliberate mistake folks) Lord Thomas of Thomas by Les Routledge, Enoch the Monkey – John Eccleston (who became one wolf “Bro” Mr Sage or Mr Onion and the hand inside Gilbert The Alien, as well as many muppets and aliens in “Farscape”) Kevin Wilkins – The Hoodlum Chief and Ian Merewood as Paisley. The rest of the hoodlums were drawn from all sections of Barrowvian society young and old, including a certain Master Gaswold Bridgens who was born with entertainers blood in his veins, a natural if ever there was one. Click here to see what he’s up to these days. The form of the film was the survivors of a nuclear holocaust gathering together to re enact the last days of civilisation and the events that led to the destruction of the world. To sing songs and ensure that it would never happen again. So now, thirty years on thank you John Fox and Sue Gill (add also Ali Wood, Andy Plant, the sadly late Greville White, Deb Mullins) for giving me the chance, for giving me respect and validation. For the confidence to continue on a path that led to so many exciting and interesting things. Not a great deal of cash it has to be said but counter that with meeting so many really good, nice and interesting people and brought me here. Storytelling, getting up to monkey business with bluesmonkey (who incidentally has just about finished his make over and will be out of the clinic soon) and so much more. Since the original posting of this a the full film has appeared on YouTube and here it is. 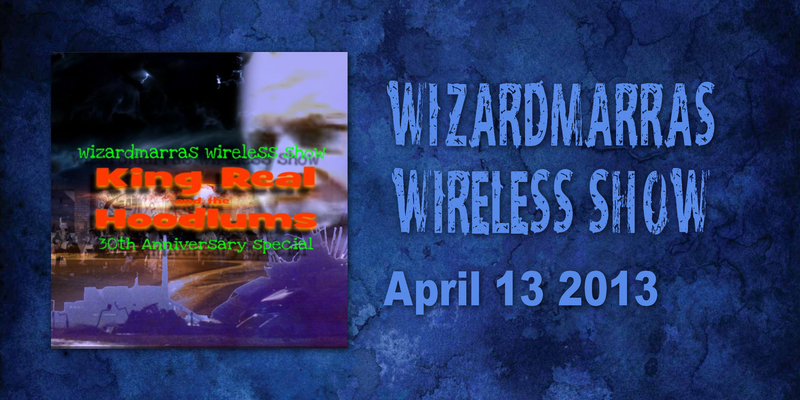 This entry was posted in The Wizardmarra's Wireless Show Podcasts and tagged Bands, Best New Musicians, Comedy, Great Music, Musicians & Artists, Podcasts, Unsigned Artists by Alan Whittaker. Bookmark the permalink. Sorry I missed the meeting at the queens, it would have been good to catch up with a lot of faces. I was reminded by Mr Bridgens but totally forgot. I think I was 20 during the film and learned so much from Pete Moser I am so grateful. The main thing he taught me was you can play one instrument well. I thought I was doomed to be a drummer for my life, I now have played many instruments although not all well. I would love to see the film again if anyone can point me in the direction of where I can get a DVD. it was indeed me on Fire Music with Pete Moser on keyboards. I know Julie Westwood but did not know she was involved in King Real. Is there any footage of the film anywhere?